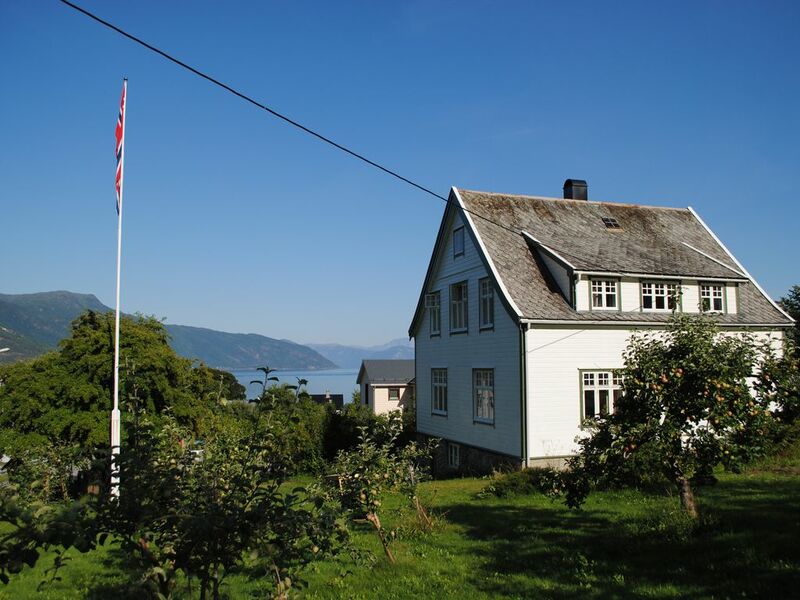 Our house is located in a very peaceful part of Balestrand, with very little traffic passing by. A few steps away is the famous "Ciderhuset", which has a nice restaurant and a shop where you could buy cider and juice, both of which are considered among the very best in Norway. The house was originally built in 1905, but expanded in 1935, and consists of four bedrooms, a kitchen, two living rooms and a bathroom and toilet. The total floor area is 139m2, and squeaky floors should be expected. The local public beach is 650 meter down the road and in Balestrand there is an aquarium displaying local fishes, a museum of travel history, grocery stores, art galleries and restaurants. There are several excellent hiking opportunities nearby. We're a family of five who use most of our holiday in this house. We love hiking, picking blueberries in the forrest and spending time in the garden.